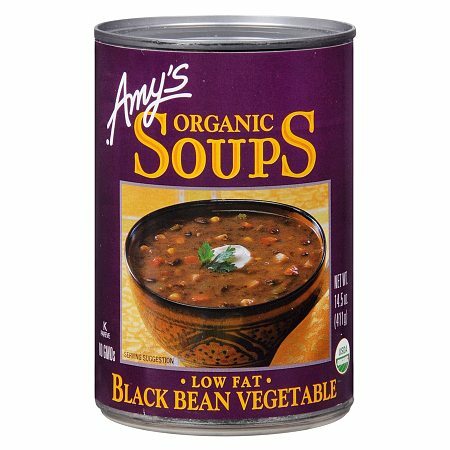 This delicious soup is high in fiber, low in fat, and a good source of protein; it contains no cholesterol, gluten or dairy. No trans fat, added MSG, preservatives, GMOs or bioengineered ingredients. Ready to serve. Do not add water. Heat and serve. Please do not overcook. © 2012 Amy's Kitchen Inc. Individuals with Food Allergies: This product is made in a facility that processes foods containing wheat, milk, soy, tree nuts and seeds. Amy's Kitchen does not use any peanuts, fish, shellfish or eggs..